Supervised Machine Learning is the machine learning task of learning a function that maps an input to an output based on example input-output pairs. It infers a function from labeled training data consisting of a set of training examples. In supervised learning, each example is a pair consisting of an input object (typically a vector) and a desired output value (also called the supervisory signal). A supervised learning algorithm analyzes the training data and produces an inferred function, which can be used for mapping new examples. An optimal scenario will allow for the algorithm to correctly determine the class labels for unseen instances. This requires the learning algorithm to generalize from the training data to unseen situations in a “reasonable” way. estimate class, e.g. handwritten digit classification. estimate parameters, e.g. of weight vs height. 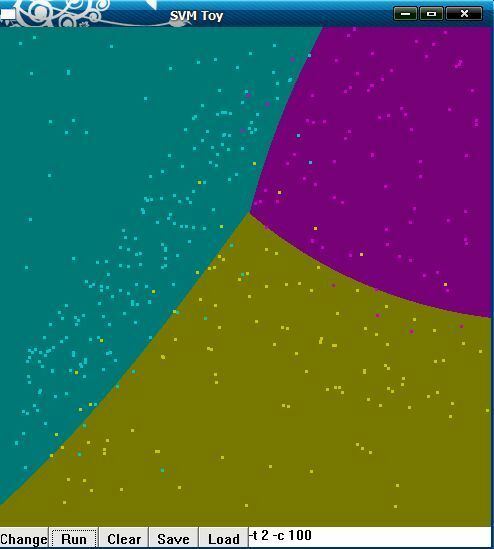 LIBSVM is an open source machine learning libraries for support vector classification(C-SVC, nu-SVC), regression (epsilon-SVR, nu-SVR) and distribution estimation (one-class SVM). It supports multi-class classification. You can download the zip file or tar.gz.file at https://www.csie.ntu.edu.tw/~cjlin/libsvm/index.html. Each line contains an instance and is ended by a ‘\n’ character. For <labal> in the training set, have the following cases. * For classification: <label> is an integer indicating the class label (multi-class is supported) , multi-classification can have multi labels. 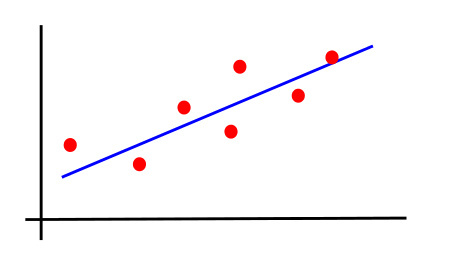 * For regression, <label> is the target value which can be any real number and only one label. * For one-class SVM, <label> is not used and can be any number and only one label. In the test set, <label> is used only to calculate accuracy or errors. If it’s unknown, any number is fine. For one-class SVM, if non-outliers/outliers are known, their labels in the test file must be +1/-1 for evaluation. The pair <index>:<value> gives a feature (attribute) value: <index> is an integer starting from 1 and <value> is a real number. The only exception is the precomputed kernel, where <index> starts from 0; see the section of precomputed kernels. Indices must be in ASCENDING order. ###index can not be continuous, when -t = 4(precomputed), index start with 0, in other cases start with 1.
training_set_file:is the data you want to training. * Scale your data. For example, scale each attribute to [0,1] or [-1,+1]. * For C-SVC, consider using the model selection tool in the tools directory. * nu in nu-SVC/one-class-SVM/nu-SVR approximates the fraction of training errors and support vectors. * If data for classification are unbalanced (e.g. many positive and few negative), try different penalty parameters C by -wi. * Specify larger cache size (i.e., larger -m) for huge problems. test_file: is the test data you want to predict. model_file: is the model file generated by svm-train. output_file: svm-predict will produce output in the output_file. among them, svm_type： can be one of C_SVC, NU_SVC, ONE_CLASS, EPSILON_SVR, NU_SVR. kernel_type: can be one of LINEAR, POLY, RBF, SIGMOID.